Thanksgiving is a great time for family reunion when you might take a lot of photos in order to remember these precious and special moments. After taking so many Thanksgiving photos, you can ceate a Thanksgiving photo slideshow to enjoy and share Thanksgiving photos. “I just used my iPhone 6s to take a lot of pictures on this Thanksgiving Day. Now, I want to create a Thanksgiving photo slideshow with these Thanksgiving photos on my computer. What should I use and how to create Thanksgiving photo slideshows on computer?” If you have the same query as this user, you can read the post to find out the answer. On holidays like Thanksgiving, many people like to take photos with their cell phones, cameras or camcorders. These photos memorize the wonderful moments we had. 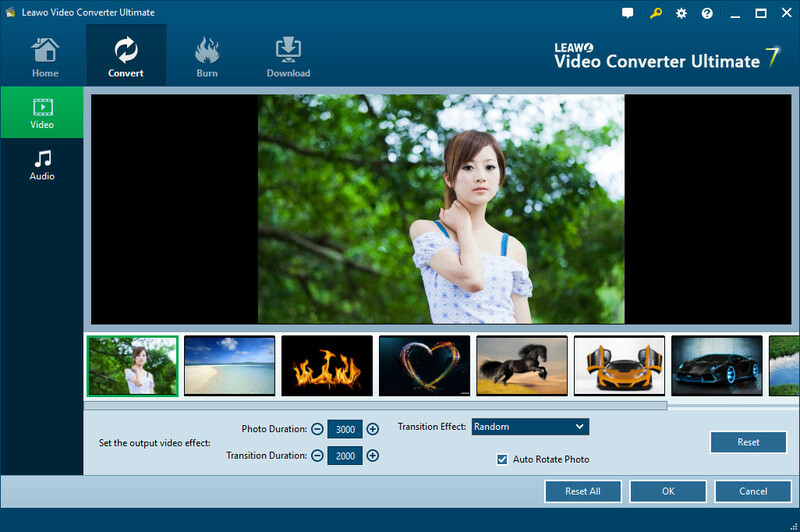 To create Thanksgiving photo slideshows, you could make use of Leawo Video Converter Ultimate, which is built in with a Thanksgiving photo slideshow maker to help create photo slideshows with Thanksgiving photos. It works on Windows XP, Windows Vista, Windows 7 and later versions. It even allows you to edit the created photo slideshows on your computer. Within only a few clicks, you could create satisfactory Thanksgiving photo slideshows. Download and install this Thanksgiving photo slideshow maker software. Mac users should turn to its Mac version counterpart. After the installation, follow the steps below to learn how to create Thanksgiving photo slideshows. Switch to “Convert” module on the submenu after you enter the main interface of the program. Click the “Add Photo” button to browse and import Thanksgiving photos you want to turn into Thanksgiving slideshows into this photo slideshow maker. Selected photos would be automatically generated into a photo slideshow upon loading. You could click the thumbnail icon to play back generated photo slideshow. Open the “Audio” panel on the editing panel. You could click the “Add Music” button or directly drag Thanksgiving music/song from your computer into generated photo slideshow. You could drag one or several songs as background music, change music position and adjust output audio effect. On the main interface, click the big green “Convert” button, set the output directory in the “Save to” box and then click the bottom “Convert” button to start converting generated Thanksgiving photo slideshows to desired format. 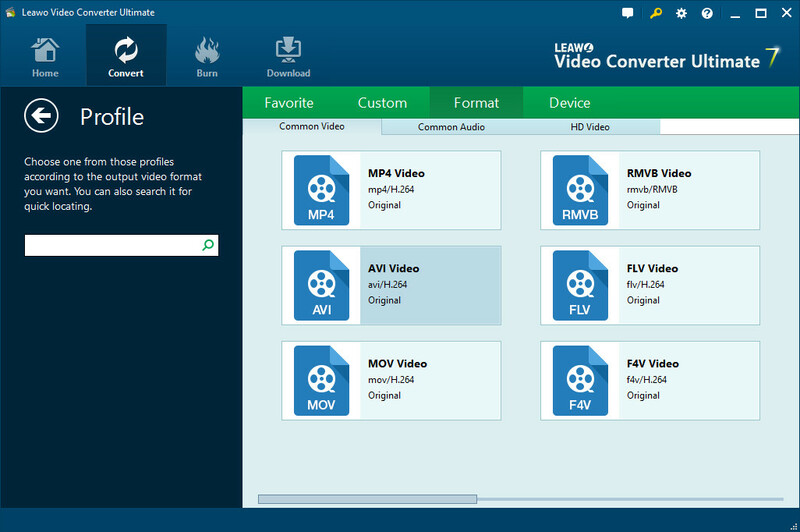 In addition to outputing common Thanksgiving photo slideshows, Leawo Video Converter Ultimate also supports Thansgiving photo Blu-ray or DVD slideshows output. The following step-by-step guide will show you how to burn Thansgiving photos into Thansgiving photo Blu-ray or DVD slideshows. 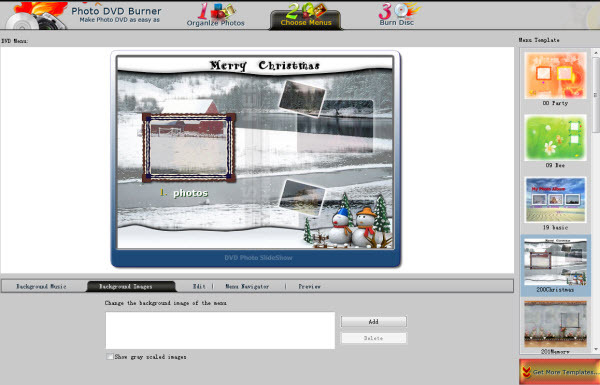 Photo DVD Burner Professional also provides an easy solution to create Thanksgiving photo slideshows. Download and install this professional photo slideshow maker, and then follow the steps below to create Thanksgiving photo slideshows. 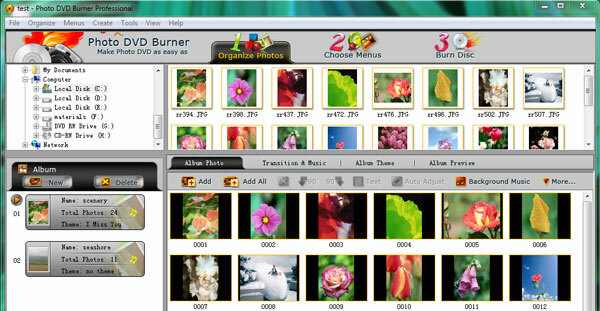 On the main interface of the slideshow maker, click the “Organize Photos” tab in Photo DVD Burner to create one or more albums, select your family’s photos from a folder in your computer hard drive and add them to the album. In the sub-menu tab, you can perform detailed settings. Click the “Choose Menus” tab to choose a menu template for the Thanksgiving slideshow. You can also specify the background music and background image, set font style, size, color, etc to customize the menu template. Click the “Burn Disc” tab to go to the conversion window. Then click the Output Format drop-down menu and choose the output format for the Thanksgiving slideshow. You can choose to burn Thanksgiving photo slideshows to DVD/Blu-ray discs or create Thanksgiving photo slideshows movie.